The fourth annual Great American Outdoor Show (GAOS), produced by the NRA, was a huge success, attracting more than 200,000 attendees and 1,100 exhibitors from across the globe. While the nine-day event, Feb. 4-12, is the world’s largest consumer outdoor show, what makes it unique is the family-friendly environment offering something for everyone—and it’s the perfect place to go during the cold of winter to catch up on the latest in the outdoor industry. This year, the 650,000 square feet of exhibit hall space included an outdoor lifestyle hall, two outdoor product halls, an archery hall, a 3D archery range, a hunting outfitter hall and multiple seminars and demonstrations geared toward the great outdoors. Here are just a few of the many things that stood out at the show last week. As hunters, we know how important the future of hunting and wildlife conservation is, and the GAOS itself is an example of what can be achieved when sportsmen, conservationists, organizations and government work together. Several conservation organizations had booths at the show this year including the National Wild Turkey Federation (NWTF), the Rocky Mountain Elk Foundation (RMEF), and the Eastern Chapter of the Wild Sheep Foundation (ECWSF). 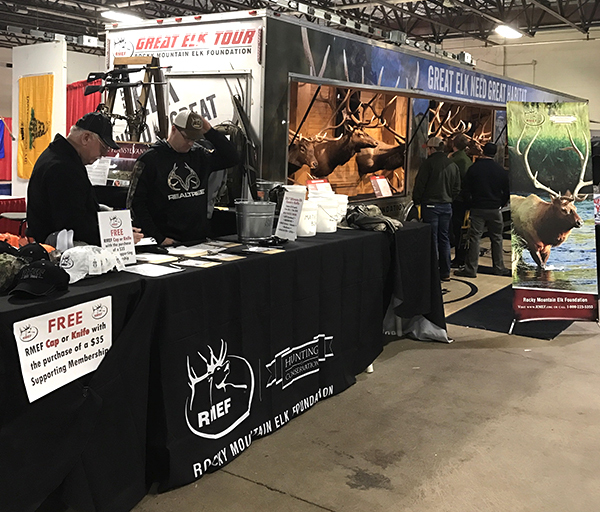 The 20-foot by-50-foot RMEF booth, for example, featured its Great Elk Tour traveling conservation exhibit showcasing some of the largest bull elk from across North America. Attendees could join the RMEF and/or enter the 2017 Ultimate Elk Country Raffle to win prizes from ALPS OutdoorZ, Browning, BUCK Knives, Danner, Matthews, Winchesters and Sitka—with all proceeds supporting RMEF conservation efforts. As a side note, check out how much hunters’ dollars count toward conservation in NRAHLF.org articles “Hunters’ Contributions to Wildlife Conservation” and “Hunters and Anglers Amass $1.1 Billion for Conservation." The 146,527 square-foot Hunting Outfitter Hall consisted of the largest representation of outfitter companies under one roof for any consumer outdoor show. 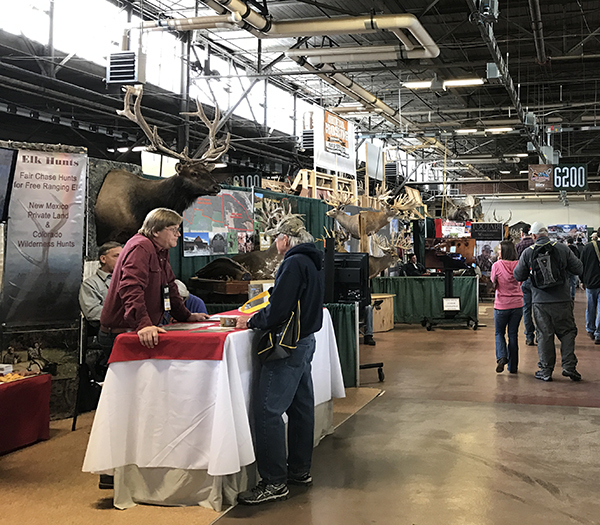 With more than 475 outfitters in attendance from all over the world, the GAOS was the perfect place to meet with hunting guides, ask questions and take advantage of the show specials being offered. Some outfitters fill up to two years’ worth of bookings before the week is out! “Actually, we are already booked through the end of this year and are staring to book our 2018 hunts,” said Cody Beierle of Cody Carr’s Hunting Adventures during our brief chat on Wed. Feb. 8—only halfway through the show! Still having trouble deciding on your next big hunt or don’t know where to start? If you weren’t able to stop by their booth at the show, check out NRA Outdoors, which maintains relationships with top-notch outfitters and keeps constant tabs on their amenities, success rates, trophies bagged, personnel and more. The GOAS offered demonstrations and seminars throughout the show venue in the Large and Small Arenas, the Fishing Hall, the Cooking Demo Area and three separate seminar rooms. Some demonstrations included Training You Gun Dog or Shed Dog, Birds of Prey: The Ultimate Hunters and Chris Brackett’s Live TV Trick Shots, which appeared to be a favorite. 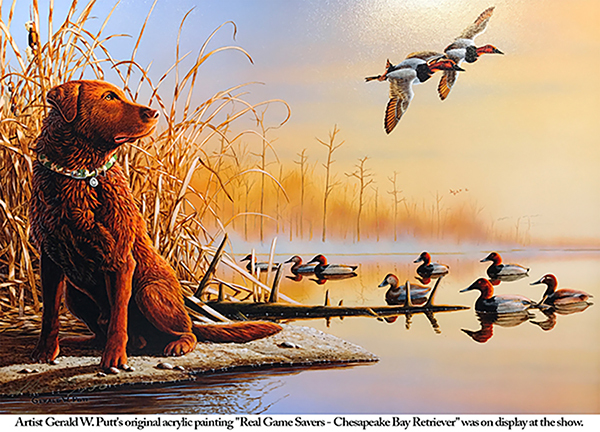 Among the variety of seminars were also Patterning Mature Bucks, Hunting Whitetails in the Rut, Long Range Hunting & Shooting Principles, The Four Rules of Waterfowl Hunting That Can Make You Succeed and DockDogs, the much-loved event from last year’s GAOS. On the show’s final weekend, attendees enjoyed Applying for and Drawing the Highest Quality Big Game Tags in the Country and International Hunting: What Destination is Right for Me? both given by Mark Peterson, host of Sportsman Channel’s “Cabela’s Instinct: Expedition Series.” On Sat., Feb. 11, attendees headed to the NRA Country Concert where Dustin Lynch, Granger Smith and special guest Tara Thompson performed. 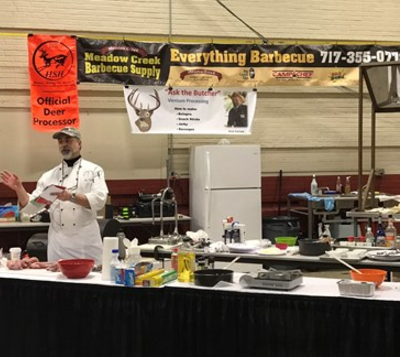 As if that weren’t enough, each day the Cooking Demo Area featured well-known chefs demonstrating their skills in preparing all types of wild game. The NRA Foundation generated more than $70,000 dollars in support of its mission to protect the future of the Second Amendment, shooting sports and our hunting heritage at The NRA Foundation Sportsmen’s Banquet on Sat. Feb. 4. Sponsored by longtime NRA Foundation partners Henry Repeating Arms and Century Arms, the annual sold-out event featured special auctions of hunting trips, firearms, knives, ammo, gear and art. A few examples of items auctioned include a Henry Golden Boy Silver rifle from the world-record setting Henry 1,000 Man Shoot in November that sold for nearly $1,100 and a Century Arms rifle that auctioned for $2,100. Along with the auctions, four central Pennsylvania-area individuals who have provided selfless service to their communities were honored by Andy Wickstrom, general manager at Henry Repeating Arms, and each received tribute rifles. Those honored included Fire Chief Nathan Tracey of Goodwill Fire Company in York Township, Detective Edward Haney of the Swatara Township Police Department, Pennsylvania State Sr. Vice Commander for the VFW Dwight Fuhrman, and State VFW Commander Thomas Brown. As you can see, whether it be booking your dream hunt, learning something new at a seminar, checking out the latest and greatest outdoor products or attending The NRA Foundation Sportsmen’s Banquet, there was something exciting going on every minute. Weren’t able to attend this year? It’s never too early to start planning. Mark your calendars for next year’s GAOS, Feb. 3-11, 2018, back in Harrisburg, Pa. For more information, click here.